Hair loss can affect your scalp or your entire body. 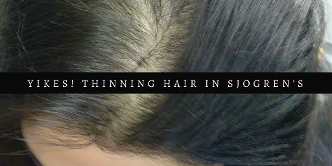 There are many reasons for hair loss and hair thinning including, aging, family baldness, hair treatments such as the chemicals used in bleaching, dying, tinting and straightening can cause hair to become damaged, poor nutrition including restricted diets and vitamin or mineral deficiencies, Medications, Diseases such as Diabetes, lupus and thyroid disease are known to cause hair loss, medical treatments such as chemotherapy or radiation therapy and hormonal changes. Frontal fibrosing alopecia in association with Sjögren's syndrome: more than a simple coincidence. Frontal fibrosing alopecia is a distinctive form of scarring alopecia considered to be a clinical variant of lichen planopilaris. It predominantly occurs in postmenopausal women and has a slowly progressive course. It was first described by Kossard in 1994. Since then the number of reported cases has increased significantly. Coexistence of frontal fibrosing alopecia and autoimmune disorders - such as discoid erythematosus lupus and Sjögren's syndrome - may suggest a common pathogenic background among the diseases. The condition is clinically characterized by a symmetrical frontotemporal hairline recession (marginal alopecia). Hair disorders associated with autoimmune connective tissue diseases. Cassano N, Amerio P, D'Ovidio R, Vena GA. Hair disorders are frequently observed in various systemic diseases, including autoimmune connective tissue diseases (CTDs), with predilection of lupus erythematosus, followed by dermatomyositis and scleroderma. Hair disorders in CTDs may manifest as various clinical patterns, such as telogen hair loss, diffuse thinning or fragility of hair, and scarring alopecia. Less common hair disorders include anagen effluvium, alopecia areata, and trichomegaly. Some drugs used to treat CTDs may cause hair loss in a drug related manner or hyperthricosis. Medications that may cause hair loss: Plaquenil and Methotrexate both have hair loss as a common side effect. Discuss this with your doctor. ALOPECIA AREATA AND AUTOIMMUNITY: A CLINICAL STUDY PMC Alopecia areata (AA) frequently occur in association with other autoimmune diseases such as thyroid disorders, anemias and other skin disorders with autoimmune etiology. Hair Loss at Mayo Clinic shows pictures of 4 different kinds of baldness. 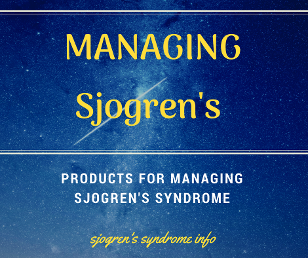 Smart Patients Forum has a thread on Dry, Brittle and Thinning Hair in Sjogren's Syndrome. • B-Complex Vitamins: Vitamin B7, also called Biotin, can strengthen hair follicles. • Zinc and iron: These minerals protect hair from shedding, getting dry and brittle. • Vitamin A: Vitamin A helps produce scalp oil, known as sebum. Without sebum, hair gets dry and brittle, and the scalp becomes dry, flaky and thick. • Vitamins C and E: These two antioxidants can protect hair from thinning and the effects of damaging free radicals. • Folic Acid: Not only can folic acid help prevent thinning and hair loss, it can be a great benefit for people who are genetically predisposed to hair loss. • Vitamin D: Plays a role in promoting healthy hair follicles. • Amino acids: Methionine, cysteine, and tyrosine are all amino acids that can increase hair growth, treat thinning hair and hair loss. • Essential fatty acids: Such as omega-3 and omega-6, are important for healthy hair growth – deficiencies can lead to hair loss.